Steve's Original PaleoKrunch Bar in Acadia. NOM. I started experimenting with Paleo about a year ago and found that my body responded well to it. It's generally how I eat now, with a few occasional and indulgent "it's totally worth how awful I'm going to feel later" exceptions. It took me a long time to realize there's no reason I should be fueling myself on hikes and backpacking trips any differently that I fuel myself any normal day of the week. I don't need to eat bars I don't really like just because they're supposed to be for outdoorsy people doing outdoorsy things. I don't need to sacrifice flavor and nutrition value for portability. With that in mind, I started searching for portable snacks for day hikes and overnight camping trips that fit with the way I eat on a daily basis. One of my go-to snacks, whether I'm on an adventure or not, is a whole avocado. 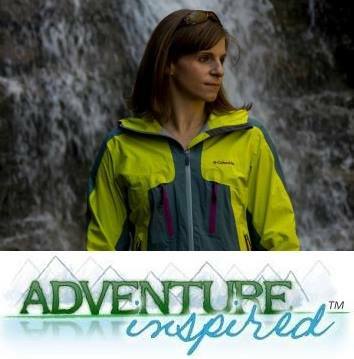 From ice climbing trips to hikes, I've taken avocados with me everywhere. I'll just slice them in half, pop out the pit and dig in with a spoon and a smile. But when it comes to packaged snacks, there are a few stand-outs that I can't imagine leaving for a trip without. Imagine: beef jerky that actually tastes good and isn't full of nasty additives and preservatives. I was first exposed to Primal Pacs through the Whole9 blog last winter, and I've placed at least half a dozen orders of 25 "pacs" since then. At $3.50 for 2.3 oz., they're not cheap, but good food usually isn't. 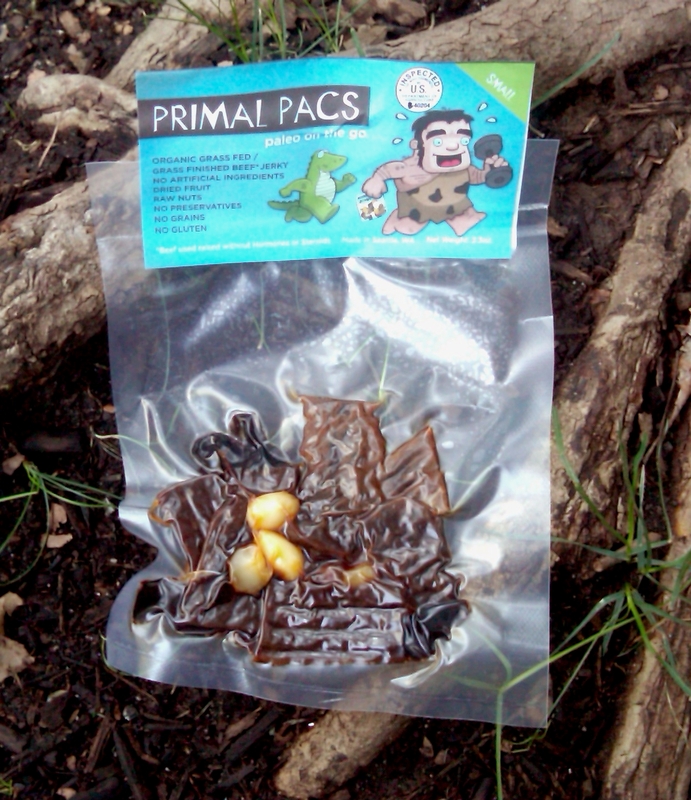 The pacs include organic grass fed, and more importantly grass finished, beef jerky along with a mix of macadamia nuts, almonds, cranberries and spices. That's it. I can't remember the last time I went to the store and bought conventional jerky; I'm too spoiled now and know what good jerky tastes like. I carted ten of them on two planes to Acadia with me to make sure I had clean jerky options. Even if you don't eat Paleo, this is the kind of jerky you need. I've always loved sushi, but who knew seaweed could taste so good on its own? The SeaSnax website boasts they make "strangely addictive" vegan, gluten free snacks and they're absolutely right. 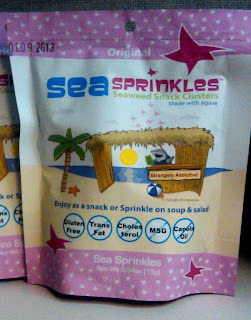 Though not particularly filling, which might help explain why I can eat three packets of SeaSprinkles in one sitting, certain types of seaweed are great sources of iodine and other micronutrients. SeaSnax are free of artificial flavors, colors and preservatives, too. 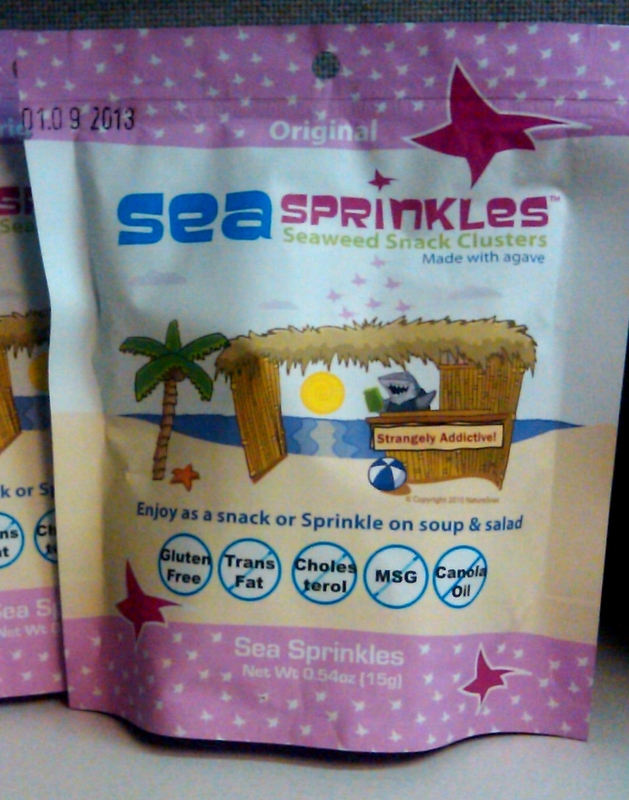 The SeaSprinkles are my favorite because they're delicious and portable. The packets are easy to slip into my backpack, and even if I squish them, I can use the "tilt and pour into mouth" method to eat them. I also love the wasabi flavored Snax, but my biggest gripe is amount of packaging. It's wasteful and I don't want to deal with carrying all of that plastic along with me on a multi-day trip. But give me a case of SeaSprinkles and I'll finish it off faster than you can say "it tastes like bacon." Eating (mostly) Paleo means leaving grains behind, so options like Clif Bars are out of my backpacks until further notice. Luckily, that leaves plenty of room for the deliciousness that is all Larabar flavors. My absolute favorite is the Cherry Pie bar. There's just something about the sweet, tangy cherries combined with the rich, filling almonds that's unbelievably satisfying. 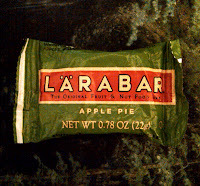 The apple pie bar, pictured left, is also pretty rad. The best part about these perfectly wrapped nuggets is that there's no added sugar or other related nonsense. 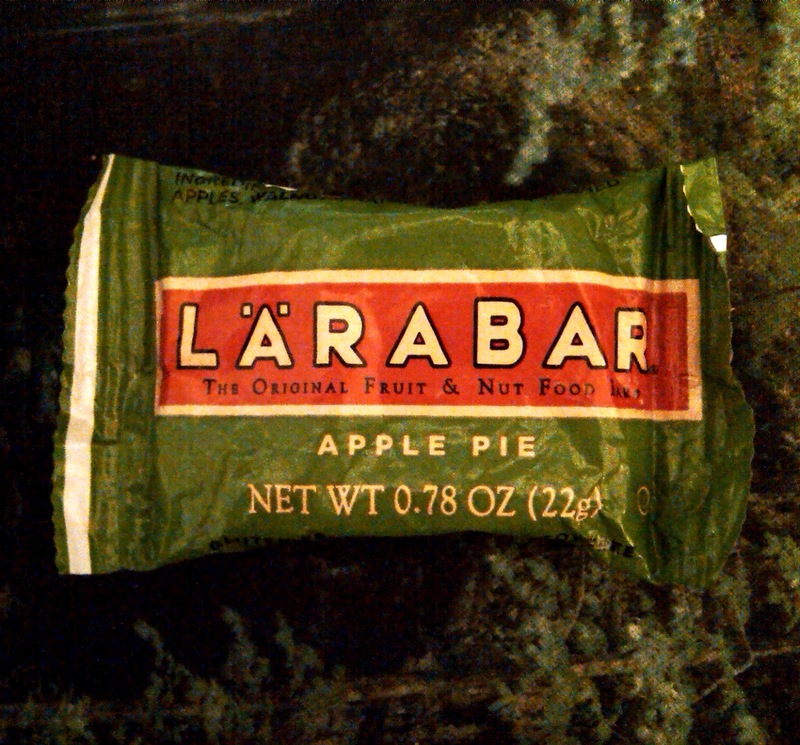 You won't find me without a Larabar in my gym bag or my lunch box, and if you do, it's because I've eaten it already. A Healthy Bar (For Real) with Chocolate In It! After finding PaleoKrunch Bars and Larabars, I didn't think my bar collection could get any better. And then, I found Cocomo Joe Foods. Based in Venice, California, the company's goal is to provide foods with "the highest level of integrity...If we can’t make it good for you and delicious, we don’t make it." 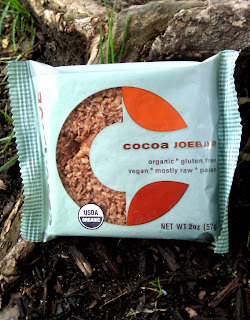 I sampled the gluten free, vegan Cocoa JOEBAR on a trip to California because hey, I love chocolate, and immediately ordered a box when I got home. The bar is slightly sweet and chocolatey, but mostly nutty and crunchy. 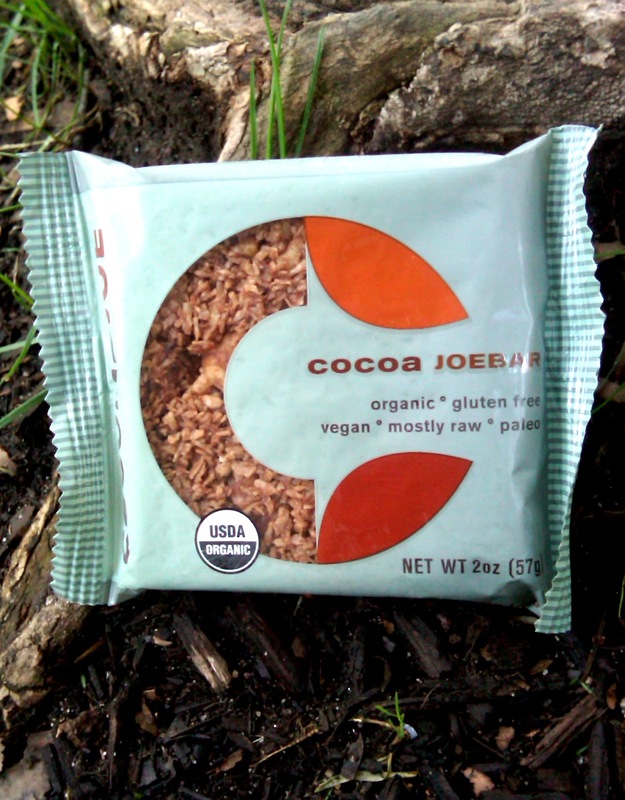 With ingredients like organic nuts, organic cocoa powder and organic coconut, you really can't go wrong. I can't wait to try the green and mango JOEBARs. 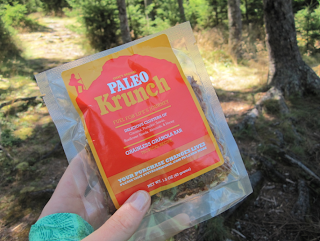 Have you tried and of these, or found other squeaky clean, preservative and crap-free trail snacks I missed? I'm always looking to add new foods to my meal planning arsenal for trips. Leave a comment, I'd love to hear your ideas! Thanks for a really interesting post, Katie. North America has so many more options when it comes to trail food, I'm envious about some of these snacks! I'm definitely struggling to find healthy, nutritious snacks, as I've recently reduced my wheat consumption as well as being vegetarian. Maybe getting a food dehydrator is the way to go? Glad you liked it! I'm not sure if any of these companies ship overseas, but finding good, clean snacks seems to be hard no matter where you are. and boy, if I didn't have a small galley kitchen with three cabinets, I'd have a dehydrator. I just don't have the storage space for it! it would be great to be able to make your own snacks; then you'd know exactly what goes into them, and you'd be able to make them to your own specifications.